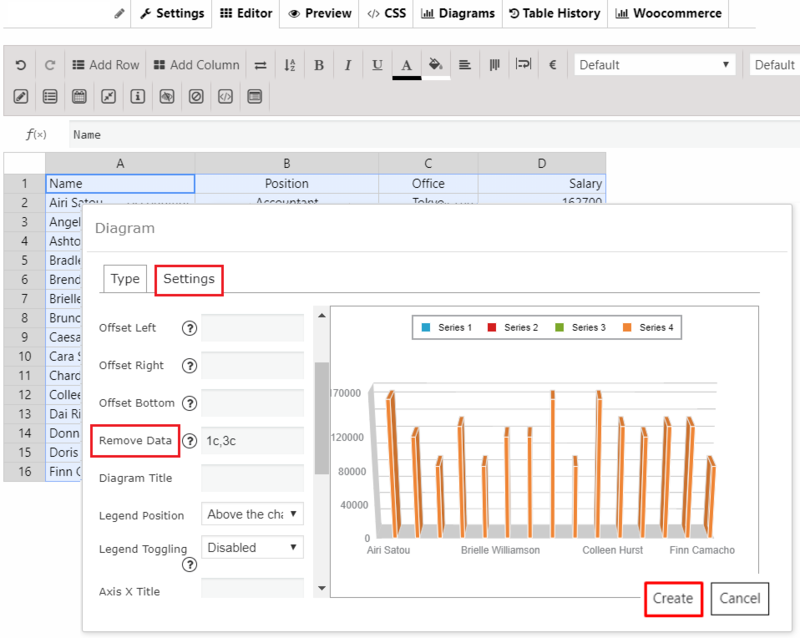 If you have a table with many columns, you can select the specific columns to build a diagram. Also, you can remove the rows you need not in the diagram. Select the Settings Tab and find the Remove Data field. You can set the rows and cols from the selected range, which has to be removed from the diagram. For example: 1r,2c. In this case, the first row and the second column will be removed from the diagram. Leave this field blank to use all selected rows and columns. Adjust other diagram appearance and click Create.